Jazz Cocktail Hour Fundraiser for Groovetrail! Jazz Kids. From Montana. Their BIG GIG is in NYC and you can help them get there! 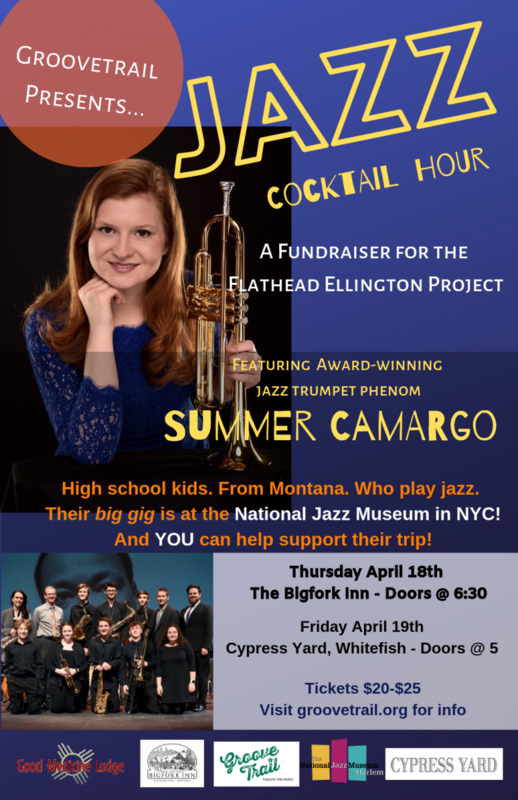 Featuring Groovetrail's Flathead Ellington Project, this fundraiser will support their trip as well as all of Groovetrail's programs. 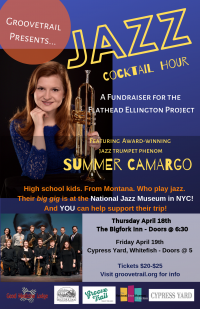 The students will be joined by Summer Camargo, jazz trumpet phenom from Florida.